You can stay healthy by eating these five superfoods regularly. As these five foods look normal but they have the special power to keep you stay healthy. These five superfoods enhance your energy level and fulfill the nutrition which is required for the body. 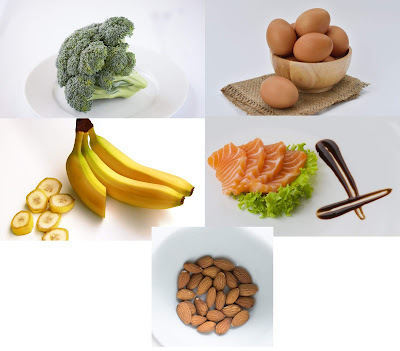 Daily consumption of these five foods has much health benefits and you can stay healthy. These five superfoods are consumed widely but people are unaware of it. By reading this article definitely, people will take the health benefits from these five superfoods. Below are the five superfoods you should know to stay healthy. Eggs contain a high amount of omega-3 fatty acids. These are necessary for normal body function and also for heart health. You can get 70 calories in a single egg and protein up to six grams. Eggs are good for hair and protect from anemia because they are loaded with iron, protein and vitamin B7. As an oily fish salmon is rich in protein and omega-3 fatty acids. By eating salmon daily you will get many health benefits to stay healthy. Daily consumption of salmon protects heart disease, depression, prostate cancer and aids to different health problems. Almonds are packed with high protein, fiber, vitamin E, magnesium and amino acids that provide benefit to the body. Almonds are known for a solution to get relief from respiratory disorders, cough, healthy constipation, diabetes, anemia, and heart disorders. Broccoli is loaded with minerals, vitamins, disease-preventing compounds and the fiber necessary in any diet. Broccoli has the power to protect from different types of cancer, make your digestion strong, reduce the cholesterol and blood pressure, detoxify the body, removes inflammation and increases vision power. Bananas are extremely high in nutrients, fiber, vitamins, and sugars which are natural. According to health experts if an individual consumes two bananas daily in a month than him/her health will be significantly better. So eat two bananas daily to stay healthy.